Microsoft will team up with Facebook to host a hackathon at the social network’s headquarters in Menlo Park, Calif., Jan. 17 and 18, aimed at integrating login with Facebook and other social tools into applications for Windows and Windows Phone. 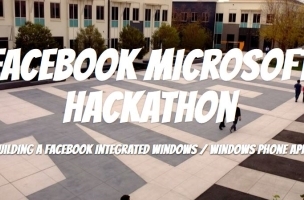 The Facebook Microsoft Hackathon will run from 6 p.m. PT Jan. 17 to noon Jan. 18, and participants will benefit from one-on-one time with engineers from both companies, as well as guest speakers. Providing developers with scale; world class tools: Shared code means developers spend less time coding and more time making apps interesting and easy to use. The common core across the Windows platform helps developers scale their resources quickly to build Facebook-connected apps across multiple devices though reusable codes, libraries, and other helpful open-sourced tools. Policy — evolving macro-topics to improve tech and economy: Since 2007, Microsoft and Facebook have partnered to evolve both technology and the macroeconomics that impact technical employees and consumers. This latest developer toolkit is just one example of the way Microsoft and Facebook continue to help developers of all skill sets be successful on the platforms.